Nice shooting, RC! And with pointed pellets! 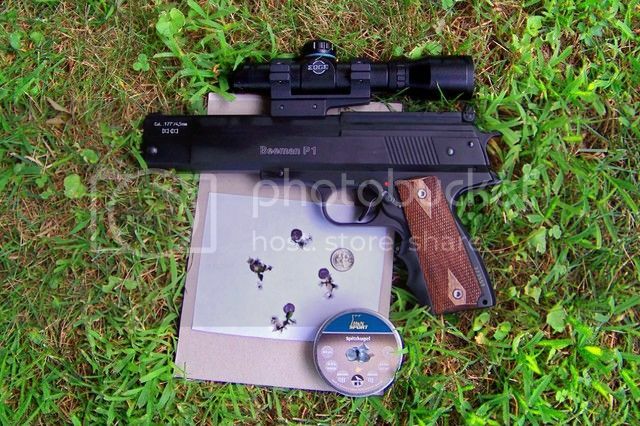 Those H&N seem to be far higher-level than Crosman pointed, I hope I'll try them someday . Nice rested shooting! The gun, especially my HW 75, really likes being shot offhand! Good work and yes what scope is it... it looks like it says "edge" on it. Nice shooting. Great-looking pistol. It does say "Edge" on the scope, but I have no idea.